*The Sorceress and the Demon (Vampire Addictions Trilogy Book 3) (Deal, Not Free) by Thea Atkinson. Cost: $0.99. Genre: Supernatural Thriller Deal, Sponsor, Vampire, Fantasy, Adult Fantasy, Dark Fantasy, New Adult & College. Rated: 5 stars on 2 Reviews. 180 pages. ASIN: B01BK05VEI. *Manhattan Miracle (Deal, Not Free) by Dee Dawning. Cost: $0.99. Genre: Adult Romance Deal, Sponsor, Romantic Suspense, Angels. Rated: 4.3 stars on 11 Reviews. 196 pages. ASIN: B00IHMZEF4. *Sister Laurel & the Atheist (Deal, Not Free) by Dee Dawning. Cost: $0.99. Genre: Adult Romance Deal, Sponsor, Contemporary Women, Contemporary Romance, Women’s Fiction. Rated: 4 stars on 10 Reviews. 168 pages. ASIN: B00322OP90. *Castrated Epoch (Deal, Not Free) by T.S. Dann. Cost: $0.99. Genre: Romance Deal, Sponsor, Short Stories, New Adult & College Romance. Rated: 5 stars on 4 Reviews. 29 pages. ASIN: B012H6OR58. *The Art of Persistent Positivity (Deal, Not Free) by Christopher K. Nixon. Cost: $0.99. Genre: Self Help Book Deal, Sponsor, New Age, Happiness, New Thought, Motivational, Personal Transformation. Rated: 5 stars on 8 Reviews. 63 pages. ASIN: B00YO8RT2G. *Barracks To Boardrooms: Negotiating Your Salary After Serving In The Military (Deal, Not Free) by Byron Y. Chen. Cost: $0.99. Genre: Success for Veterans Book Deal, Sponsor, Career Development, Job Hunting, Business & Money. Rated: 5 stars on 12 Reviews. 74 pages. ASIN: B01A7VAEIE. *In the Eyes of Madness (Declan Peters Chronicles Book 1) (Deal, Not Free) by Michael Pang. Cost: $0.99. Genre: Christian Mystery & Suspense Deal, Sponsor, Christian Fantasy, Supernatural. Rated: 4.5 stars on 30 Reviews. 227 pages. ASIN: B00WWVN9JO. ISBN: 0692437339. *Honest Fibs: A Collection of Science Fiction Short Stories (Short SSF Stories Book 3) (Deal, Not Free) by Nicholas C. Rossis. Cost: $0.99. 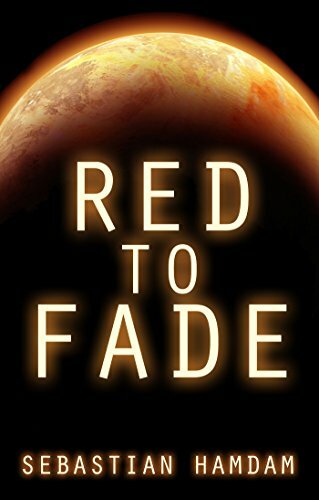 Genre: SciFi Short Stories Deal, Sponsor, Science Fiction, First Contact, Time Travel. Rated: 4.8 stars on 5 Reviews. 136 pages. ASIN: B01DTIUYF0. **Dawnflight (The Dragon’s Dove Chronicles Book 1) (Deal, Not Free) by Kim Headlee, Kim Iverson Headlee. Cost: $0.99. Genre: Arthurian Fantasy Deal, Sponsor, Epic Fantasy, Greek & Roman Myths & Legends, Christian Fiction, Myths & Legends, Epic Fantasy. Rated: 4.4 stars on 55 Reviews. 415 pages. ASIN: B00BLNN6XS. **Moon Tortured (Sky Brooks Series Book 1) (Deal, Not Free) by McKenzie Hunter, Wayne Purdin, Reese Dante. Cost: $0.99. Genre: Dark Fantasy Deal, Sponsor, Horror, Paranormal & Urban Fantasy, Action & Adventure. Rated: 4.3 stars on 68 Reviews. 388 pages. ASIN: B00K9W0F9A. ***JACK AND THE GIANT KILLER (Deal, Not Free) by Christopher Greyson. Cost: $1.99. Genre: Mystery Deal, Sponsor, Thriller, Noir, Pulp, Serial Killers, Murder, Conspiracies, Terrorism, Mystery, Crime. Rated: 4.7 stars on 121 Reviews. 276 pages. ASIN: B00MT2ER4M. *Superhuman Focus: How to Beat Procrastination, Manage Your Time, and Double Your Output – GET MORE DONE. (Deal, Not Free) by Patrick King. Cost: $0.99. Genre: Time Management Book Deal, Sponsor, Kill Procrastination, Memory Improvement. Rated: 4.7 stars on 40 Reviews. 140 pages. ASIN: B01E9GLRCU. *8 Wealth Habits of Financially Successful People: Discover How Successful People Acquire Wealth And How You Can Too (Deal, Not Free) by Ron Malhotra. Cost: $0.99. Genre: Wealth Creation Strategies Book Deal, Sponsor, Wealth Acquisition, Credit Ratings & Repair, Budgeting & Money Management, Business Skills. Rated: 4.5 stars on 4 Reviews. 150 pages. ASIN: B00PEYAGZ6.